Baebox for Teens is a product I first mentioned in the Christmas gift guide for teenagers. At the time, it was just launching, so we didn’t know exactly what was going to be in the boxes. But now I’ve got my mitts on one and I wanted to show you what’s inside. Baebox for Teens – What is it? 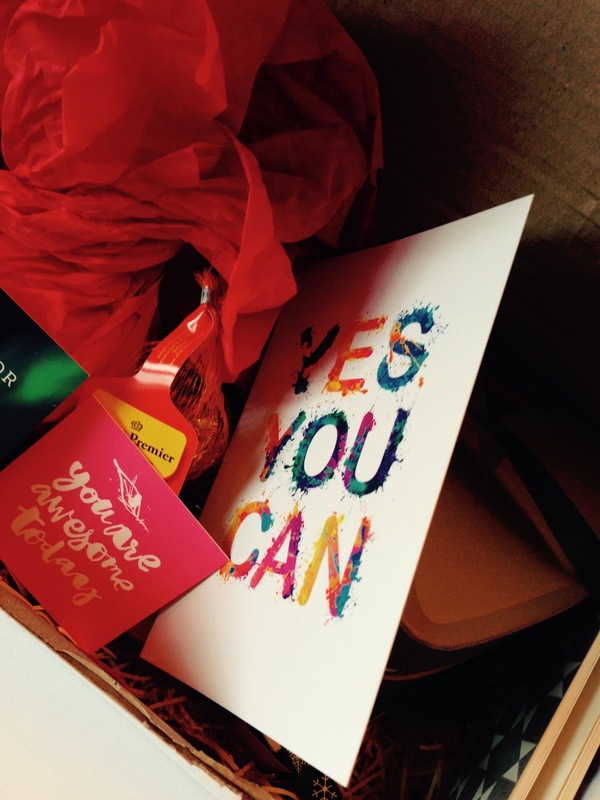 Baebox is a subscription gift box with a positive message for growing-up girls. It’s designed to uplift and inspire, and is suitable for ages 8 to 15. You can choose a tween or a teen box. There’s also a Baebox for Boys in the pipeline. Baebox was founded by Rosie Shelley, mum to a 13 year old daughter, and whose name you might know from the Original Old Skool Blogging Massive. It’s a family-run, small business based in Surrey, which of course instantly makes it way cooler than those giant faceless conglomerates who are far less fun to buy from. These boxes have a little more heart and soul because they are packed with love from a real live human. 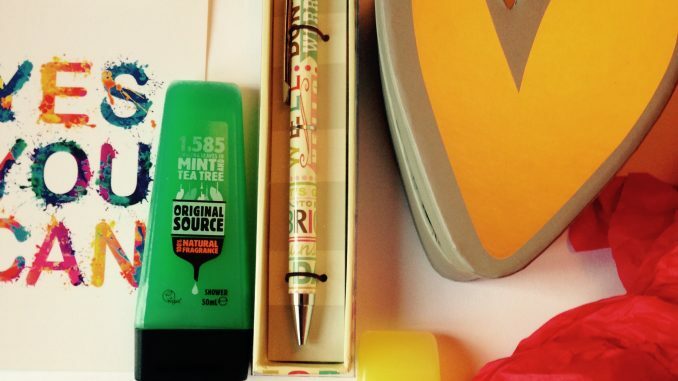 The teen box we’re looking at today is suitable for ages 13 to 15. Every month’s box is different, and you won’t know until it arrives what your box will contain. Boxes can be bought as a one off for £20 or you can subscribe on an ongoing basis, which can bring the price down as low as £13. The Baebox for Teens box introduces girls age 13-15 to age-appropriate beauty and cosmetics products as well as fun stationery, lifestyle and fashion items. The aim is to help them grow up, but not too fast. 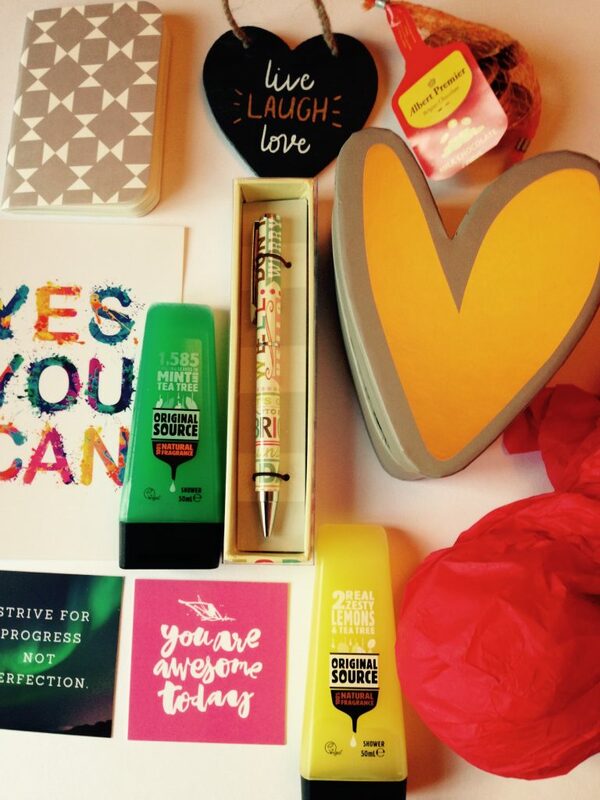 There’s a minimum of 4 products in each box plus positive and empowering messages suitable for their age range. My teen is now 17 and even though she is outside the age range of Baebox, she was still very charmed by its contents. It comes nestled in shredded tissue paper, and is posted in a very sturdy cardboard box. I think it would make a great gift, especially for a girl who’s having a tough time and needs a little lift. Or indeed a teenager whom you don’t know well, because the products have a broad appeal. I can’t think of any other comparable product in the market – the usual monthly beauty boxes would probably be too old and not suitable for young teenagers. What a lovely way for a little sister to have a gift box of her own without feeling like she’s growing up too soon. You can find out more about this and the other Baeboxes from their website here. The cut off date for orders is the 22nd of each month, with the boxes being dispatched on the 23rd. Currently, delivery is UK only but more locations are to follow.